In the next week or so, I will be posting about a few things that were sewn this summer, and not necessarily sewn by me. Rachel made this super cute jean skirt. She found a skirt that she really liked at a local store and copied the shape of it onto some wrapping paper. It's a knock off. She found this great skirt weight jean fabric at Jo-Ann's. She used the wrong side (lighter) of the fabric for the main part of the skirt, and the right side (darker) for the waist band and hem. Very clever. Here's a close up so you can see the fabric better. Love the pocket accent. Great job Rachel! 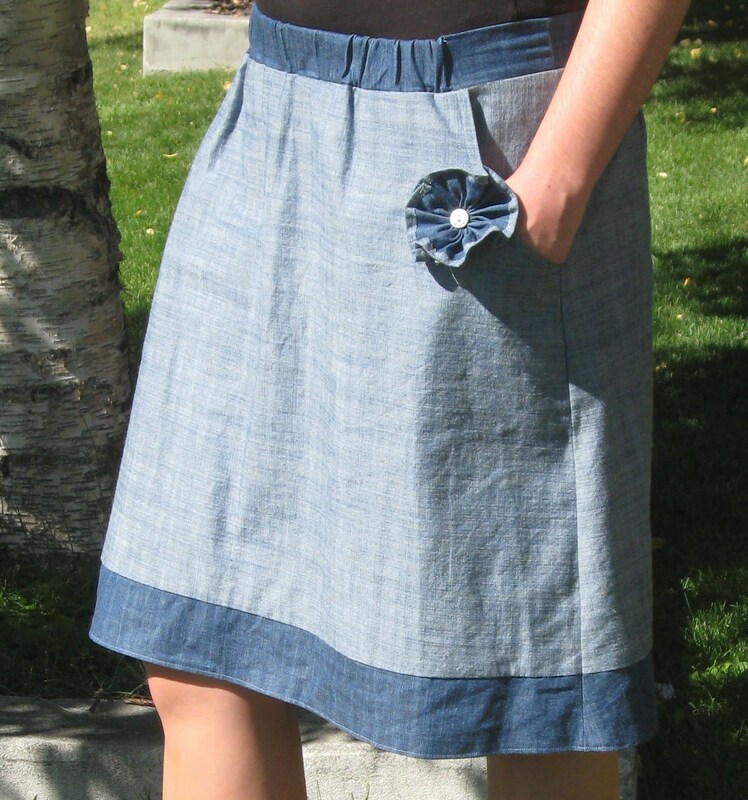 I love how you got the idea of this skirt in your head and didn't let go until you had made it! What will you sew next? ooh, i love it! rachel sews better than i do! wish i actually had some free time...and i wish you lived closer, jen, so you could teach me! love it! 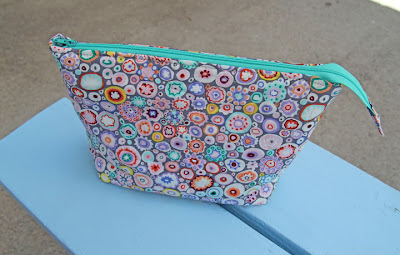 - I have used the wrong side of a fabric for something once - I love the unexpected! Way to go Rachel!! !